Make this Valentine’s week special by celebrating your friends who have stood by your side during the good times and the difficult times. 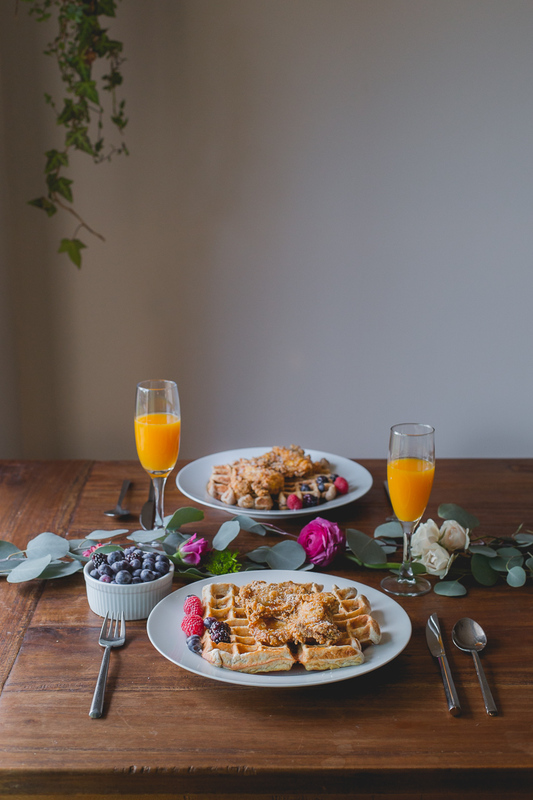 Galentine’s Day is the perfect excuse to get together with the friends you love. Celebrations during the weekday can feel rushed or stressful, but they don’t have to be! 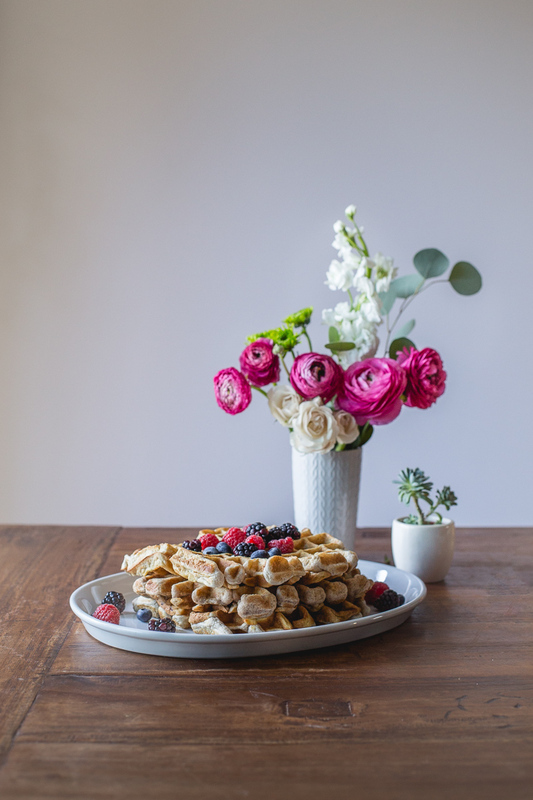 We want to share some tips that can help you create an elegant evening with minimal effort. 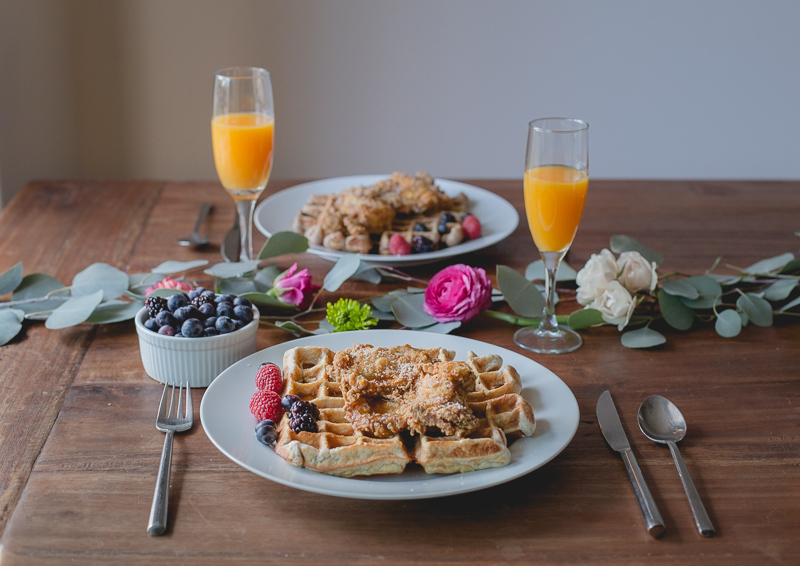 Combine beautiful florals, waffles, fresh berries, fried chicken, and orange juice to create a beautiful spread for a girl’s night in. Restaurants are can be crowded during Valentine’s week and having an intimate gathering in a at home with candles and soft music is the perfect alternative. 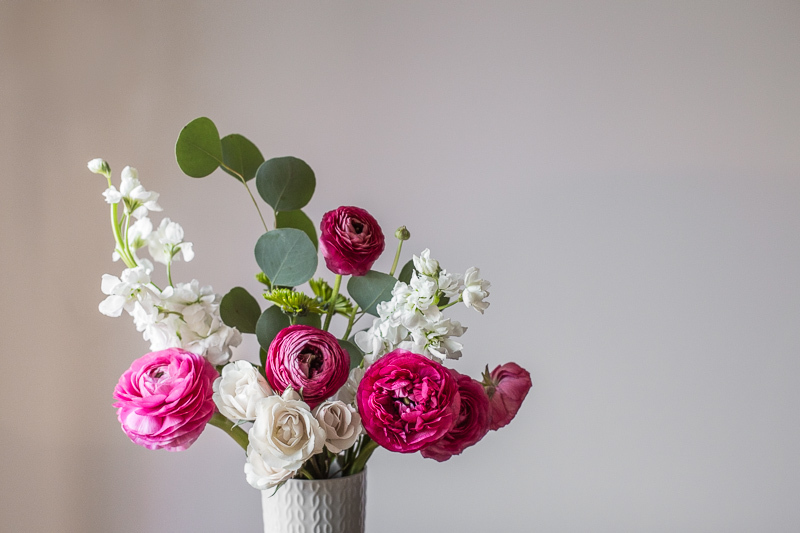 A beautiful arrangement of fresh flowers can create that wow factor in a room. Buy a couple of assorted bouquets and a bunch of eucalyptus so you can mix and match them yourself. Don’t be afraid to trim the branches and toss out extra greenery or bruised flowers. Play with the height of your florals. 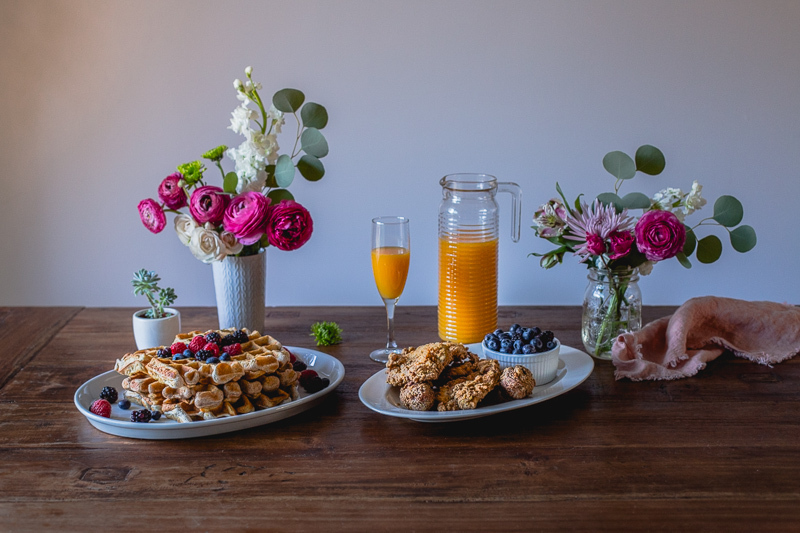 Add a tall bouquet close to your food serving station and lay eucalyptus leaves and a few bright flowers on the table so conversations can flow without an obstructed view. After working a full day, cooking can feel a bit overwhelming. 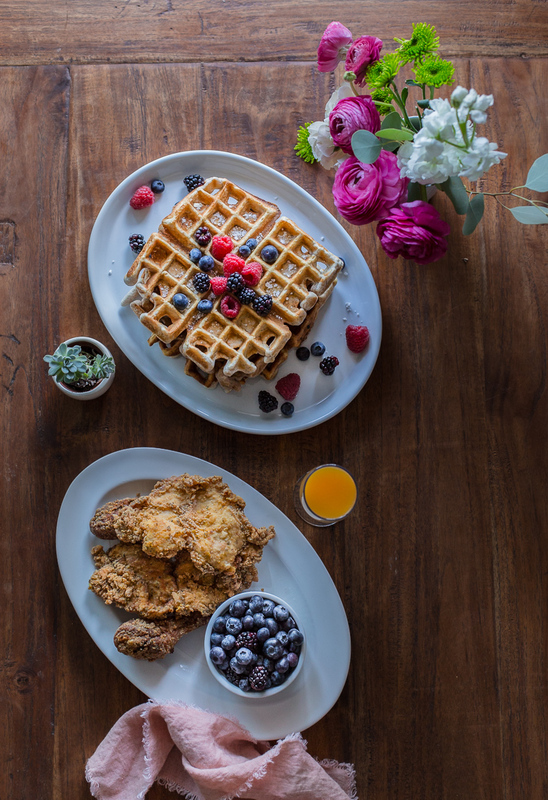 Why not pick up some chicken and waffles on the way home so that food can stay warm in the oven while you prep for the evening? Add fresh berries, maple syrup, and orange juice to the table and you’ve got the perfect sweet and savory dinner. 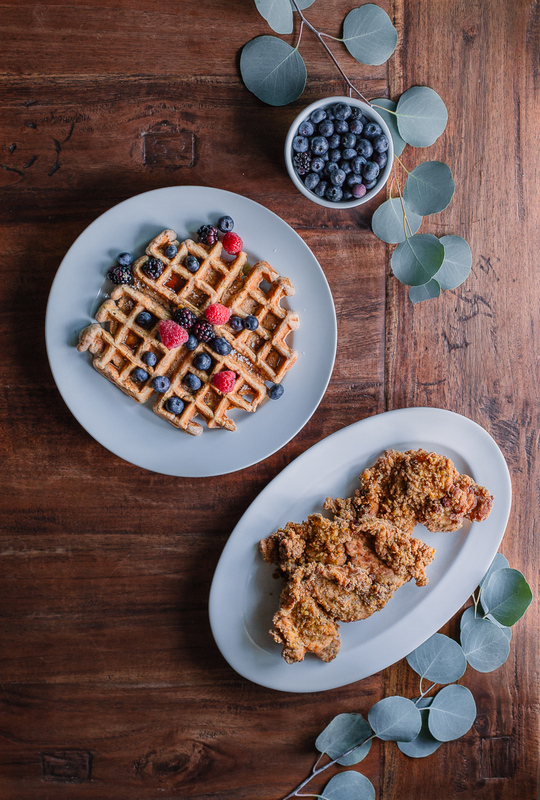 However, if you want to get together with your friends and fry up some chicken and waffles, then we’ve got the recipe for that below. We hope you get a chance to celebrate love this week. Sift flour, sugar, baking powder, and salt in a large bowl. Mix together. Whisk together vanilla extract, buttermilk, and egg in a small bowl. Pour the wet ingredients into the dry ingredients. Stir to combine. Batter will be lumpy. Do not over-stir. Brush the waffle iron with butter or oil. Pour enough batter to cover the waffle grid and cook until golden brown on both sides – approx. 3-5 minutes. Serve with fried chicken and syrup. Tip: Grease the waffle iron well before making each waffle for less sticking and easier clean up.